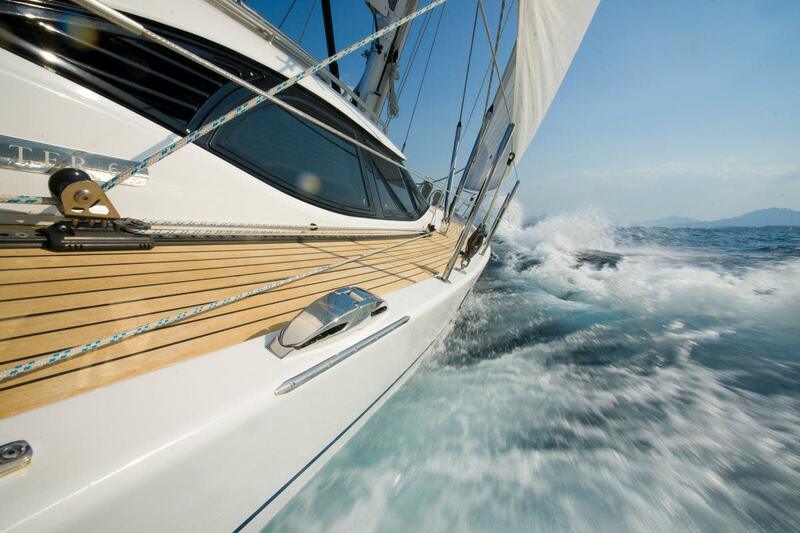 Sailing is about excitement, freedom and motion without machinery.  What Americans would call “yachting” also includes security, comfort and luxury. 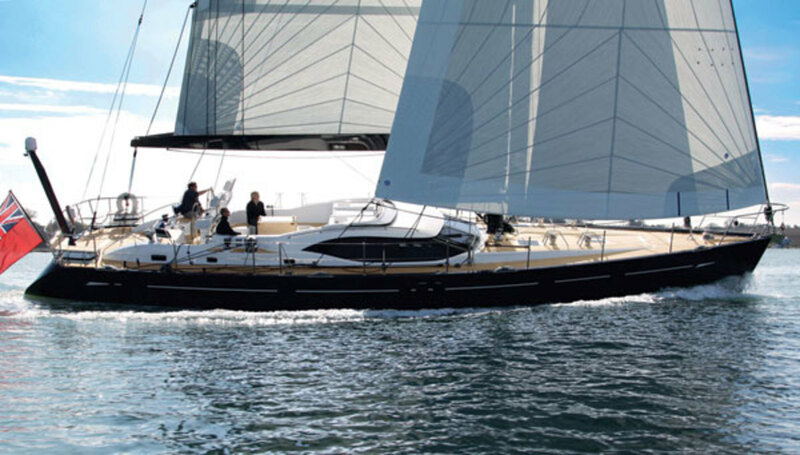 Given this definition, the Oyster 625 truly provides the full yachting experience. 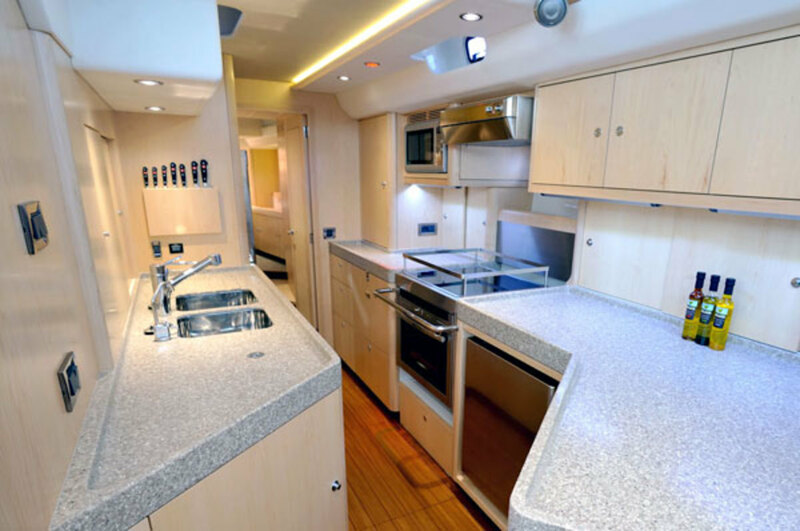 Examine the construction schedule for the Oyster 625 and you&apos;ll find each element is executed to the highest standard. Oysters are ready to sail worldwide. The 625’s glass/Kevlar/carbon-fiber laminate hull is solid below the waterline and is reinforced by a structural grid. The topsides are foam-cored, and the entire structure is vacuum bagged. The deck is balsa-cored, with plywood in load-bearing areas. As usual with Oyster, the systems are robust, carefully installed and of top quality. 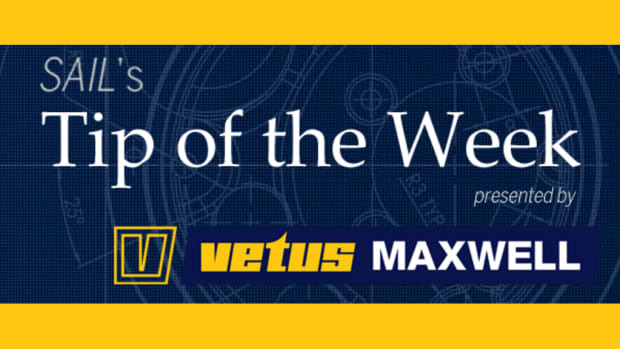 Open the bilge and you discover dual bronze sea chests with manifolds for saltwater plumbing. The 24-volt DC electrical system is supported by a big bank of batteries; a second 150-amp alternator on the engine and an 11.5 kW genset also provide 110/220-volt AC current. Poke about and you find substantial wiring and plumbing, a beautiful engine installation and labels on everything. It’s the sort of work that makes a mechanic smile. 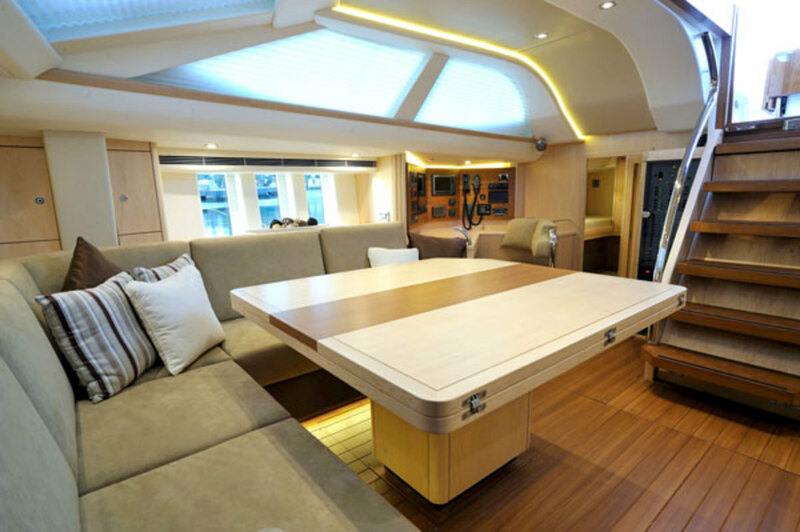 The deck of the Oyster 625 is a pleasant place for a stroll, even when the wind kicks up. You’re much more likely to stay aboard than not, thanks to the wide decks, low bulwarks and tall lifelines. There are excellent lockers for deck gear, starting with a big, deep space in the forepeak with its own ladder. This can also be finished as a crew cabin. Aft there is a big full-width lazarette. The social portion of the cockpit is separated from the working class neighborhood. Those who want to chat and enjoy the ride sit around the table in first-class comfort. Farther aft in a smaller secondary cockpit, the sailing enthusiasts get dual helm stations, excellent visibility and easy access to the lines and winches. A passageway on centerline lets people move back and forth between the communities at will. 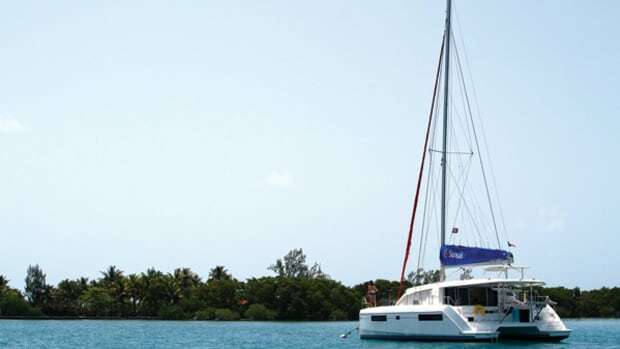 The sail plan of our test boat included an in-mast furling mainsail and a double-headed foretriangle with a genoa and staysail on husky electric roller furlers. 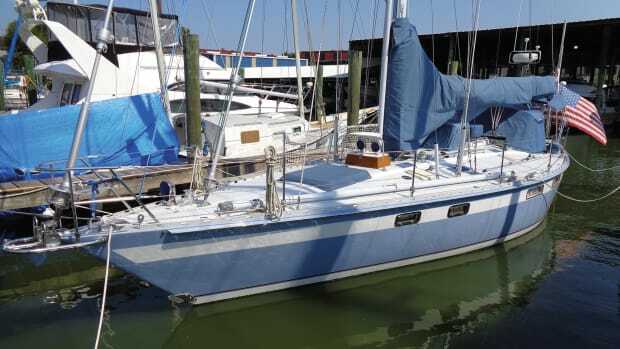 When a couple of recreational sailors have to handle more than 2,000ft2 of sail, the layout, hardware and sail plan had better be very good. On the Oyster 625, they are. ots of boats that look comfortable turn out to be much less so when you actually sit down to read or visit with friends. But the seating on the Oyster 625 is absolutely pleasant. 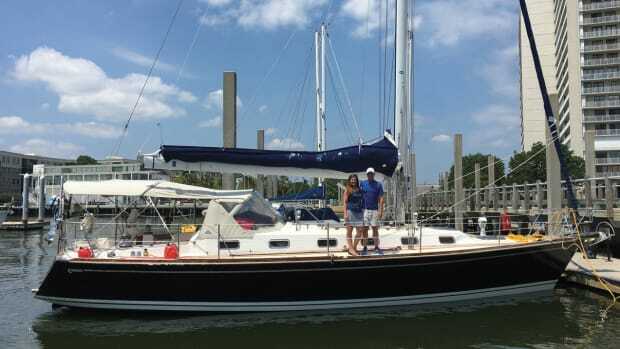 For an average size couple like my wife and me, this boat has just enough support, the right proportions and the right layout to permit socializing, stretching out or quietly soaking in the ambiance. All the spaces below are bright and pleasant. As if the seven deck saloon portlights were not enough, there are six more at eye level when you are seated. There’s well over 6ft of headroom almost everywhere. The grabrails are plentiful and strategically placed, and both of us appreciated the high, strong, curved fiddles around the countertops that serve to keep both the crew and the dinner plates safe. 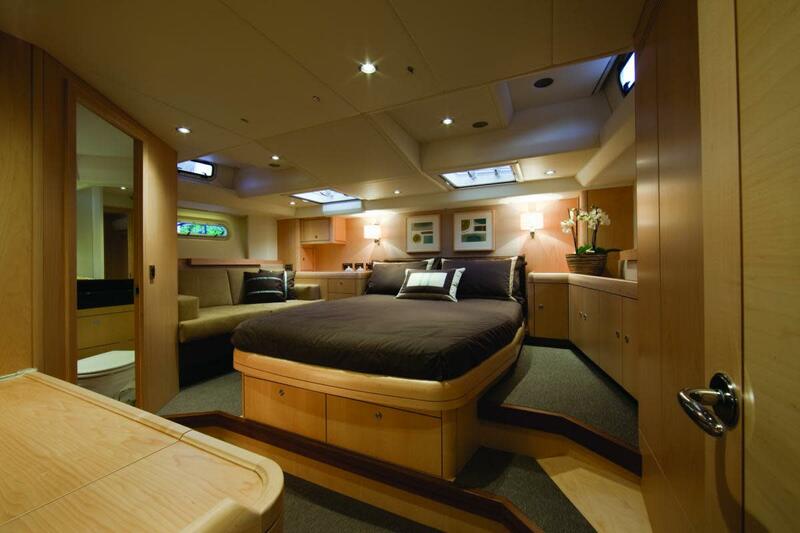 Our test boat slept seven in four cabins. Four of the berths were fairly narrow and in pilot cabins, creating a perfect layout for extended offshore voyaging. Oyster will also customize layouts to a buyer&apos;s specifications. While the wind had abated from 20 to about 12 knots in the Atlantic off Miami, the sea was still a bit lumpy. 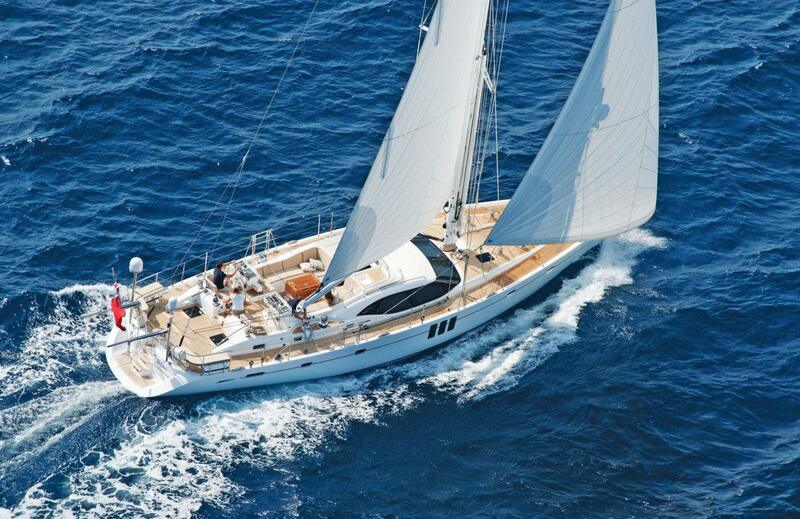 The 625 responded with a steady 7.7 knots through the water under full sail. Rolling up the staysail increased the speed a bit, and when puffs came along, the boat accelerated easily to nearly 9 knots on a beam reach. It is easier to unroll a bit of the staysail when tacking so the genoa has a smooth surface to run over, and the big Oyster tacked reliably through about 90 degrees. All the winches were the right size and the rigging ran freely, so it was easy to handle the sheets and furling lines. While the helm response was quite good, the starboard wheel linkage needed a bit of tightening to remove some play. This boat tracks beautifully. 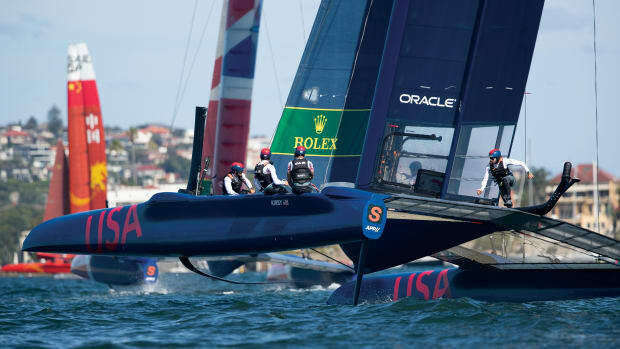 While this is not primarily a race boat, Oysters prove themselves well if competition is desired. The Oyster 625 was absolutely predictable. It cruises at 8 knots with the engine turning 2,000 rpm. Sound levels were the lowest (60 dBA) I have measured in over 20 years of testing boats. Conversation from the cockpit 15 feet away was louder in the saloon than the engine. Maneuvering was easy. The big boat stopped and reversed as commanded; the turning circle was 1½ boatlengths. 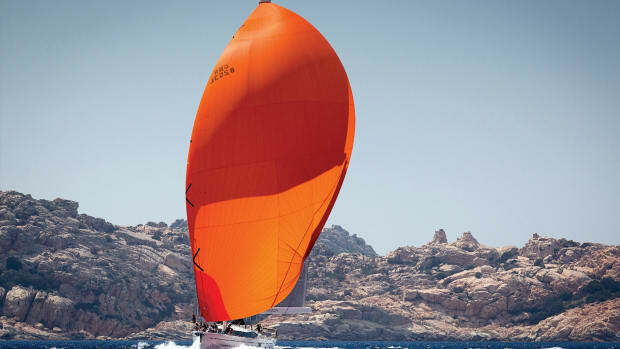 For most sailors, an Oyster 625 will be their ultimate boat. 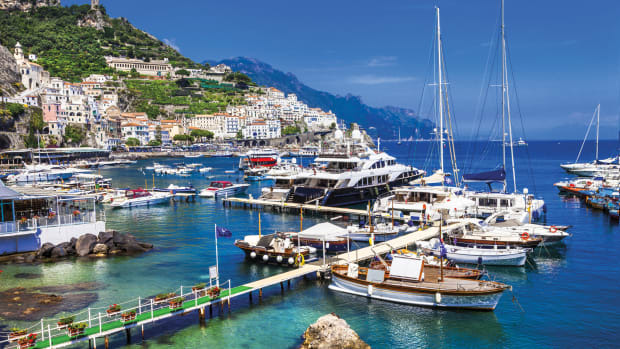 About a third of 625 buyers have owned an Oyster before, and almost all have extensive sailing backgrounds. The busy yard has several models up to 88 feet under construction, but the Oyster 625 hits a sweet spot where an owner can enjoy the sensations of a proper yacht without the crew a larger vessel requires. Photos courtesy of Oyster Marine Ltd.